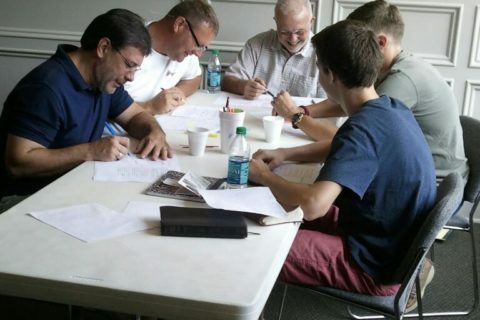 What is a Bible Intensive? 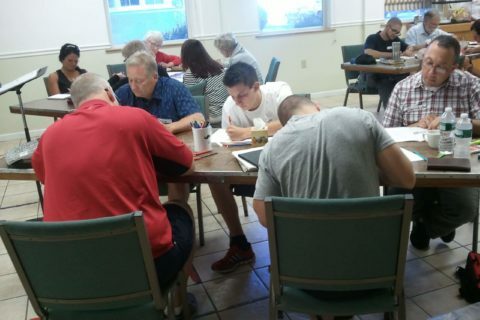 A Bible Intensive is a one-and-a-half or two day retreat in which a small group of people intensively studies a short book or section of the Bible. 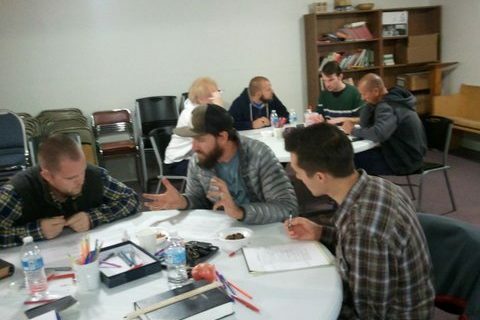 How does a Bible Intensive work? 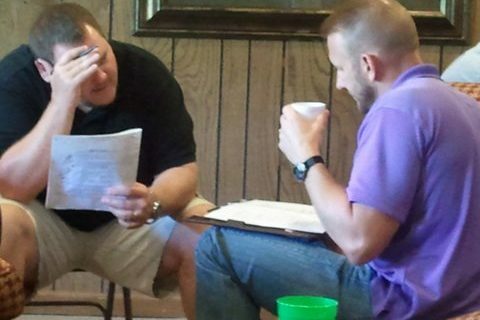 At least two CCW communicators come to your venue to lead the retreat. Before coming, we decide on a passage of Scripture and print off formatted copies. The whole retreat then centers on this particular passage. 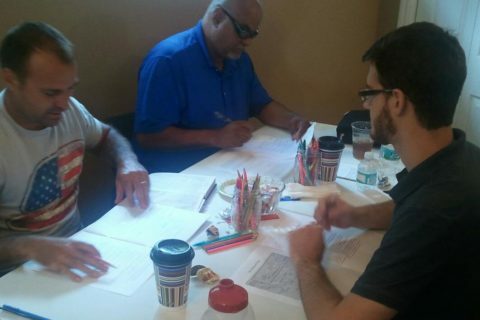 Using ideas and methods that we’ve learned throughout years of Bible study, we guide the group to wrestle with the text together. Our goal is not to lecture or teach, but to facilitate group discovery. 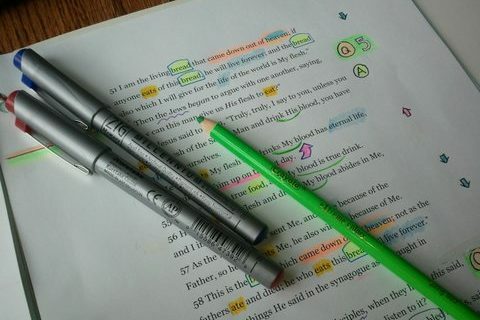 In this way, we hope to create a deeper understanding of the text and provide methods for Bible study that the participants can use for years to come. Who attends a Bible Intensive? The retreats take on a variety of forms. 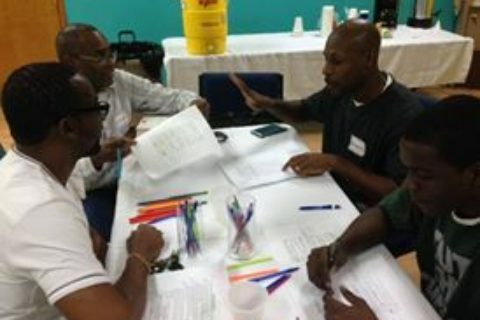 They are often comprised of a group of leaders from a church or various churches in an area. We particularly enjoy leading groups of pastors. 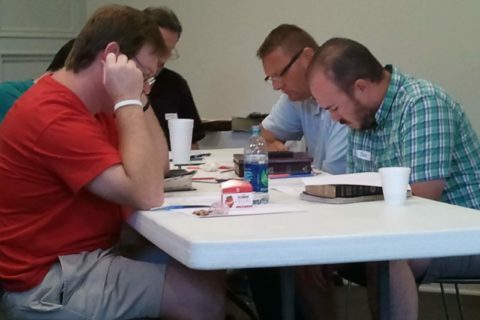 At other times, they extend beyond church leaders to the men of a church or churches. Some churches use this for their annual elders’ or men’s retreats, for example. Sometimes we do more than one retreat in a row (i.e. 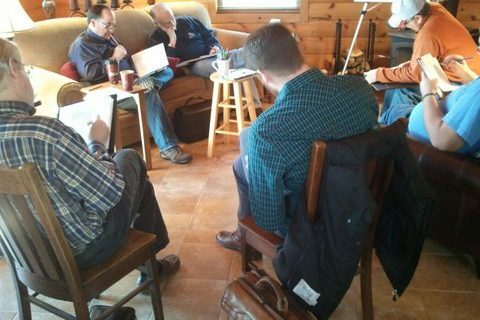 a group of local pastors mid-week followed by a men’s retreat on the weekend). On a few occasions, we have done mixed groups of men and women. We like to keep the number of participants low, less than twenty, in order to promote the most effective learning experience. We also ask that any participants commit to be there for the entire retreat. Contact us if you need guidance about who to invite when organizing a retreat. 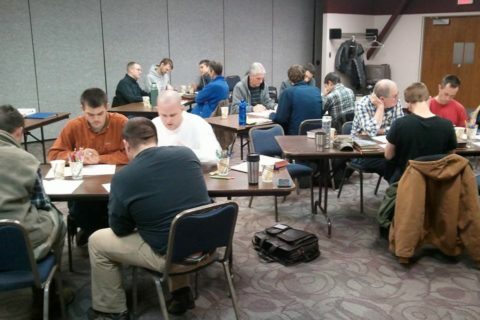 What should I expect at a Bible Intensive? 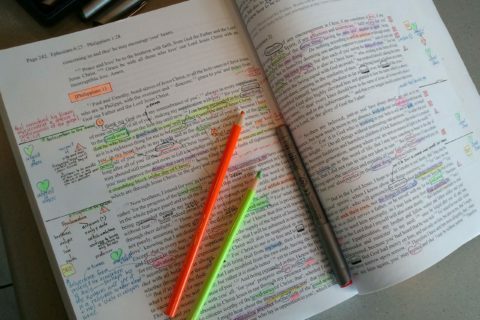 Many hours of reading and rereading the text with the group, seeking for as comprehensive an understanding as possible, even if it completely changes our view of the passage. Staring at the page, listening, big smiles and laughter, wild gestures to make a point, people walking and talking enthusiastically, prayer for wisdom, relief as eyes open to difficult passages, warm fellowship. Careful attention to the text with freedom to read it apart from preconceived theologies dominating our view of the passage. Copious marking of the text as a way to interact with it more closely and remember what we have discovered. Guided work and discussion in small groups. Tools for Bible study that we can use in the future, both individually and in groups. Thoughtful application of the passage to our lives and churches. 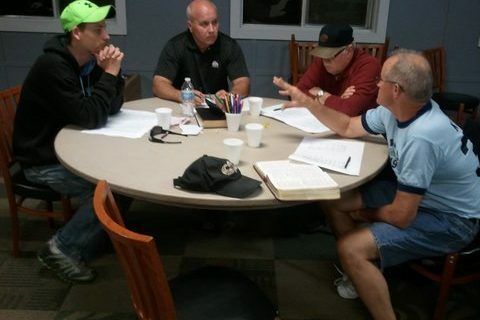 Warm fellowship centered around the Scriptures. 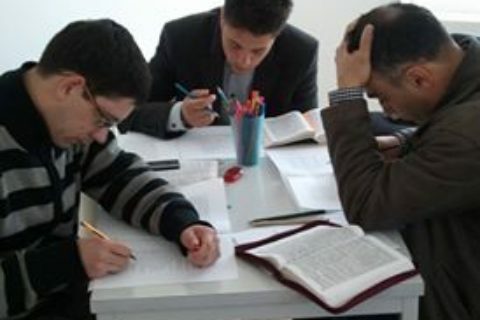 Where did the idea for Bible Intensives come from? The idea came as a convergence of our own new experiences in the Scriptures. It was the result of much soul searching about how to effectively involve other believers in a powerful and mutually stimulating experience with the Bible that would last. We wanted to see people at all stages of Bible knowledge have the new level of experience with the word that we had been enjoying. We believe strongly that God desires for these retreats to happen. In order to remove any financial obstacles, we have decided to pay our way to your venue. We’ll trust God for the trip if you will treat every moment seriously. It will be worth all we spend, as far as we are concerned. Naturally, we ask that you organize the retreat by inviting the people and providing the venue and food. We can meet in a retreat center, or at a home or church building, as long as we have undivided time together. We would also be grateful if you would provide for us food and a place to stay while we’re there. We are also available to speak at churches most Sundays before or after the retreat. For details, contact Steve Burchett at info@ccwtoday.org and let’s start talking about it. 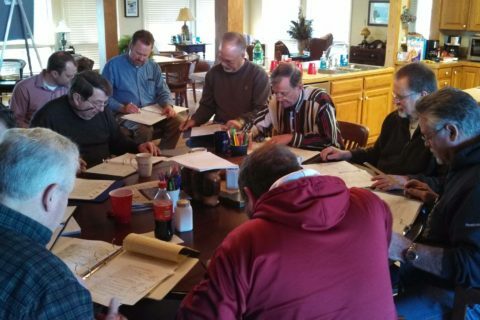 Periodically, we also lead retreats here in Kansas City. If you would like to participate, please contact us.